Warning: This article links to a Product which is going towards EOL (End of Life). Depending on your local Toradex entity, there are very few to none of this product left for sales. Please also have a look at the main page about EDT Displays. 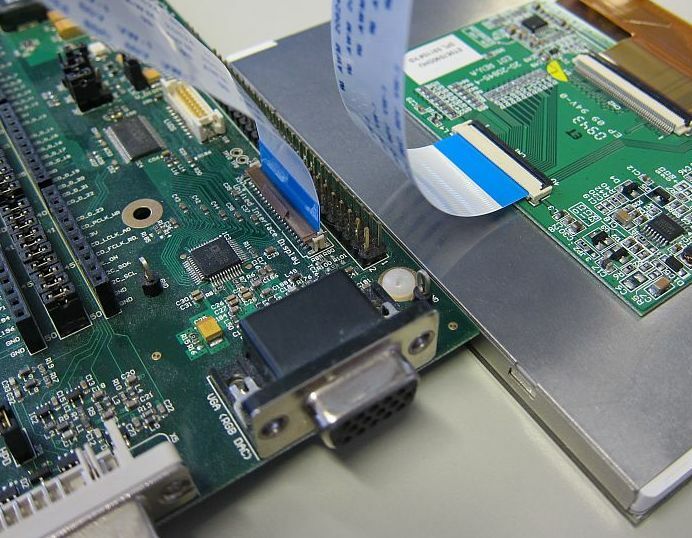 When connecting the EDT displays to a Colibri Evaluation Board or an Iris carrier board, make sure that pin 1 of the display is connected to pin 1 of the board. Due to the nature of the FFC connectors, it is possible to invert the pinout and possibly damage the display and/or carrier board. The EDT 7" and EDT 5.7" display connectors do have contacts on top and bottom side. 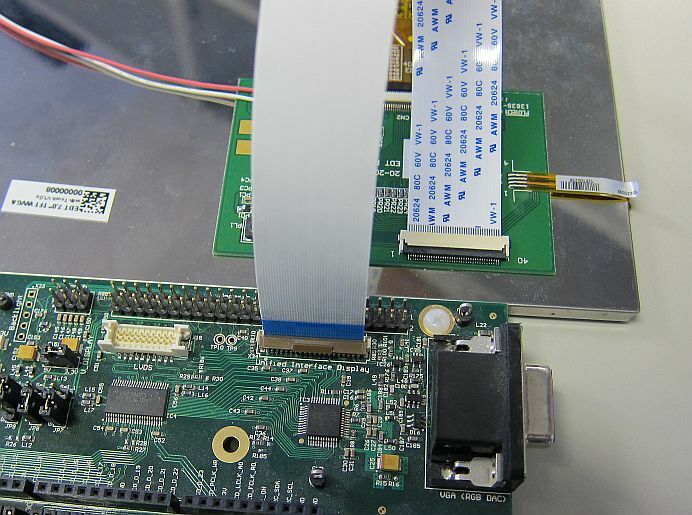 Connect the display with the provided FFC to the Iris Carrier Board or Evaluation Board paying attention to the pin numbering which is on the display and on the carrier board. Copy Colibri Tweak including the Display Preset folder to the Colibri (AciveSync, SD Card, USB Memory Stick, CF Card,..). Start Colibri Tweak. If you do not have a working display, use the Remote Display tool. In Colibri Tweak select the display preset "EDT_ET05709_640x480" if you are using the VGA or "EDT_ET070080_800x480" if you are using the WVGA display. Adjust the splash screen settings. This is particularly important for newer displays because they need proper resolution and timings at boot. You find more information about this here. For Colibri modules, if you connect it with a standard Colibri Carrier board you may experience that the display does not show to maximum brightness. To get the maximum brightness you need to set the back-light PWM_A signal to output 0. Note1: SODIMM pin 59 on Colibri T20 and T30 has two CPU signals assigned (multiplexed) L5 and B4. Make sure you set B4 to output 0 and L5 to input. Whereas, for Apalis T30 on a standard Apalis carrier board use GPIO C.00. For a test you can use the GPIOConfig Tool. Please note: due to a limitation of the Registry Editor in interactive mode, first create only the key [HKLM\Software\NVIDIA Corporation\NVDDI\LCD]. Then exit and restart the registry editor, before adding the values (BL_GPIO ...). The EDT display are also featuring the touch screen interface on the same FFC. To make the calibration permanent, you need to save the registry. Please find the instructions in the Display Output, Resolution and Timings and Resistive Touch Screen articles.